More than a quarter-million decorative, scented candles sold at the Hobby Lobby chain nationwide are being recalled, the U.S. Consumer Product Safety Commission said on Tuesday. This recall follows 29 incidents involving the surfaces of CoScentrix candles catching fire, the commission said. That led to nine fires that caused property damage and the injury of at least one consumer. A prior recall of 126,000 CoScentrix candles in August involved only two incidents. The 256,000 recalled candles, manufactured by CoScentrix and sold under the DD brand, come in a variety of decorative containers, including Mason jars, coffee tins and holiday-themed jars. 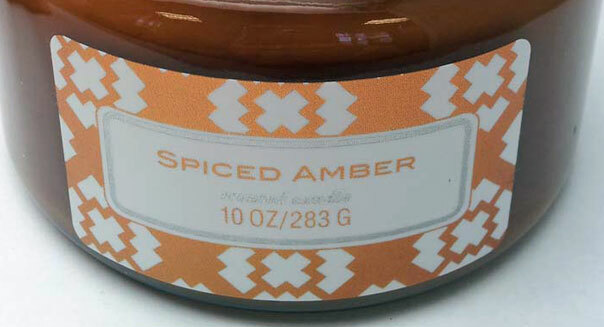 A wide variety of scents are among those being recalled, including Chai Tea, Apple Brown Betty, Candy Apple, Root Beer Float and Blackberry Jam. Recalled candles will have a "DD" logo with the word "Handcrafted" in raised letters. The fragrance and size can be found on a tag attached jar's mouth. A SKU number is on the label on the bottom of the container. The recalled candles were sold for $6 to $20 between June and October at either Hobby Lobby stores or on the company's website. If you have one of the recalled candles, you're urged to return them to a Hobby Lobby store. If you have a receipt, you will receive a full refund. If you don't have a receipt, Hobby Lobby will issue a store credit. Those who made the purchases online and with other questions should contact CoScentrix 11 a.m. to 8 p.m. weekdays at 888-298-2722.